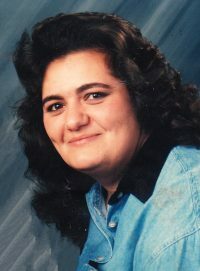 Rhonda S. Sawczyszyn – 54 – of 28 Green St., Canisteo, died early Monday morning (March 25, 2019) at Highland Hospital in Rochester, following a long illness. Wilmont Cancer Institute, C/O Strong Memorial Hospital, 601 Elmwood Ave., Rochester, NY 14642. I am so sorry for your loss. Rhonda was a great person who could always make you laugh. Sending prayers and love to you all. So sorry for your loss. We LIVED-LAUGHED-LOVED her very much! She will be greatly missed! Sending love and prayers to ALL! So sorry for your loss. Sending prayers and love.